NEW YORK (Reuters Health) – Eating lots of carrots and cruciferous vegetables — collard greens, cabbage, broccoli — could reduce breast cancer risk, particularly an aggressive form common among African American women, suggests a large new study. The researchers looking at data from the ongoing Black Women’s Health Study did not find a similar benefit from fruit intake. Previous studies of the relationship between fruit and vegetable consumption and breast cancer in white women have led to conflicting results, and no prior research has investigated this link separately among African American women, lead researcher Dr. Deborah A. Boggs, of Boston University, told Reuters Health in an e-mail. Boggs noted her team’s earlier work showing that a so-called “prudent diet” high in vegetables, fruits, whole grains and fish led to a lower risk of estrogen receptor-negative breast cancers among African American women. The ER-negative form of breast cancer, which is insensitive to the hormone estrogen, is more common in this population than among white women. It is also more difficult to treat and more often fatal than estrogen-sensitive cancers. 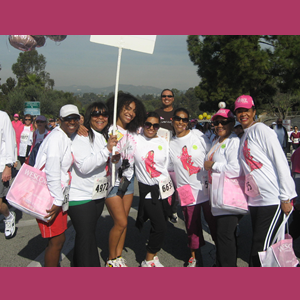 Overall, breast cancer is the second leading cancer-killer for both African American and white women, according to the Centers for Disease Control and Prevention. Approximately 1 in 8 American women will develop the disease at some point in life, although age, heredity and environmental factors can increase an individual’s risk. Boggs and her colleagues wanted to find out whether fruits and vegetables drove the beneficial effect they saw in women eating the prudent diet and whether specific varieties are particularly protective. They tracked the diets and health of more than 50,000 African American women from across the U.S. for 12 years. 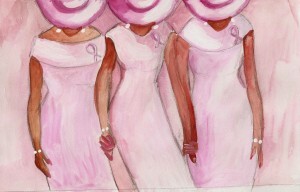 About 1,300 of the women developed new cases of breast cancer during that period, 35 percent of them ER-negative. The researchers found, however, that women who ate at least two servings of vegetables a day had a 43 percent lower risk of ER-negative breast cancer compared with women who ate fewer than four servings of vegetables each week. Further, they identified certain types of vegetables that appeared to reduce the risk of all types of breast cancer, including broccoli, collard greens, cabbage and carrots. Women who ate three or more servings a week of carrots, for instance, had a 17 percent lower risk of developing breast cancer than women who ate carrots less than once a month. The results for all vegetables held after accounting for other potential breast cancer risk factors, such as physical activity, smoking, alcohol consumption and education level, as well as consumption of other components of the prudent diet, the researchers report in the American Journal of Epidemiology. Still, it is too early to determine if this is a true cause-and effect-relationship, they note. High vegetable consumption could mark a healthier lifestyle in general or some other unknown mechanism that accounts for the apparent protection. Vegetables’ cancer-staving power needs to be confirmed in further studies, the researchers write. “Most Americans do not meet the recommendation of five servings of vegetables per day, based on a 2,000-calorie diet, and African Americans in particular eat fewer vegetables on average than do whites,” said Boggs. SOURCE: http://link.reuters.com/pyf69p American Journal of Epidemiology, online October 11, 2010. Copyright © 2010 Reuters Limited. All rights reserved republication or redistribution of Reuters content, including by framing or similar means, is expressly prohibited without the prior written consent of Reuters. Reuters shall not be liable for any errors or delays in the content, or for any actions taken in reliance there on Reuters and the Reuters sphere logo are registered trademarks and trademarks of the Reuters group of companies around the world.